Yes, taking on any problem, large or small, means making a commitment—of time, of energy, and of yourself. And all without any guarantee of success or appreciation. Yet every day, thousands, if not millions, of people around the globe get up and put in the effort to make change happen. How do they do it? What is different about them that they do more than just complain, even taking substantial risks at times, to stand up for their communities? If you have ever asked yourself questions like these, The Activist’s Toolkit will help you take the seed of an idea and plant it so that it grows into a real, viable project. Maybe it will change your block, your school or your community. Or it might cause a change that reaches across the country or even the globe. I have seen so many wonderful things happen because people had an idea and said to themselves, “Why not here? Why not now? Why not me?” You can do it, too. I know, because that’s how it happened with me. 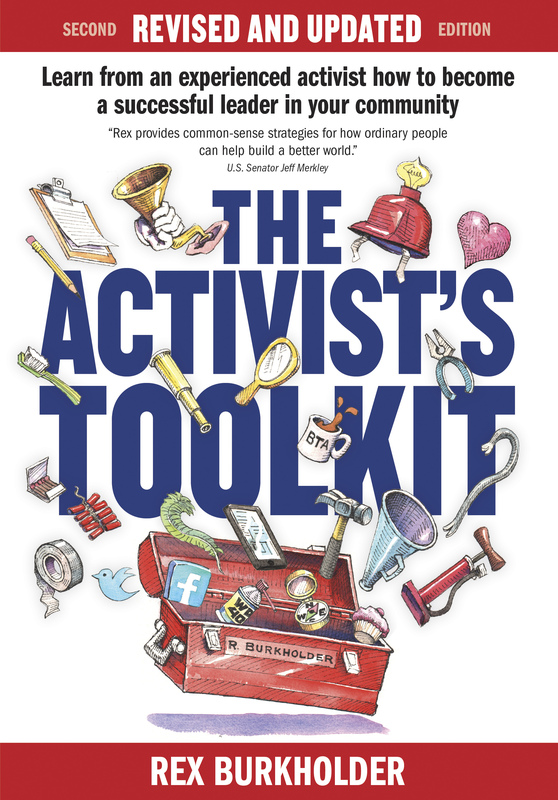 Packed with practical advice and wisdom gained through over forty years of civic activism, it’s a new, creative approach to leadership, focusing on how to be effective as a community activist. 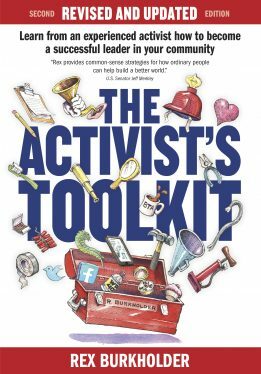 I designed it to help anyone — from elected officials and nonprofit leaders to the average citizen — communicate more authentically, advocate more effectively, and lead more productively toward a better world. Buy it today!